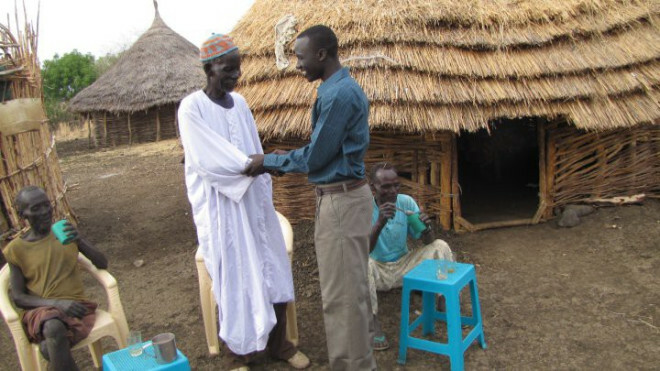 Uduk Hope Inc. recognizes that refugees in South Sudan face very unique challenges. We believe that the best solutions to these challenges are those proposed by the community members themselves. The primary focus of our faith-based initiatives is to support the functions of the Uduk church network in Doro Refugee Camp as requested by the Uduk community. The Uduk church network is composed of 19 Christian churches from different parts of the refugee camp. Uduk Hope’s exploratory team met with the leaders of the Uduk churches many times in the summer of 2016. In these meetings the leaders requested financial support for special events such as the Christmas celebration, so that the churches can host and feed many members of the community. The second request was for Uduk Hope Inc. to help complete the translation of the Old Testament of the Bible into T’wampa, the Uduk language. There were many other requests made that we are not able to focus on at this time. Nevertheless, in 2017 and 2018, we will be giving financial support to special church events and attempting to continue the Old Testament translation project. There are many other religious and cultural groups within Doro Refugee Camp other than the Christian Uduk community. Although our faith-based initiatives focus solely on the Uduk church network, the special events and functions of the Uduk church that we support are inclusive of all religious groups and anyone who wants to participate in them. In this way, there is no limiting of access to the services we provide through our faith-based branch. Furthermore, the Bible translation project will be building upon the works of previous organizations, like Serving in Mission (formerly Soudan Interior Mission), who have translated for other groups in the past in a peaceful way.